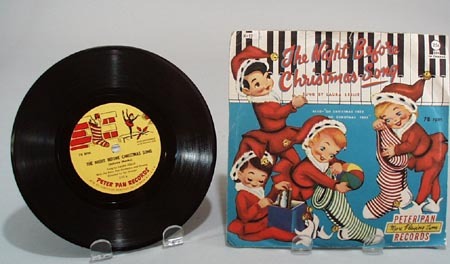 Peter Pan Record X17, Christmas 78rpm The night before Christmas song sung by Laura Leslie witht eh Peter pan Orchestra and Oh Christmas Tree by the Caroleers. Record and cover show some wear, but still excellent condition1956 , nice graphics showing pixie type children opening stockings. 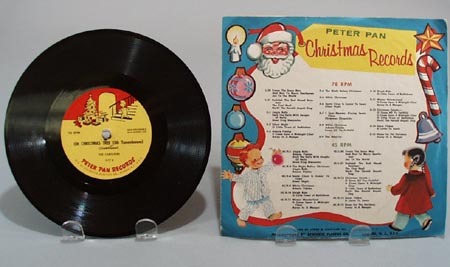 Record is 6 3/4""
Items Similar To "Peter Pan Record X17, Christmas 78rpm"